If you’re thinking of making your first investment, it’s natural to hesitate. You may be thinking: is this the right time to buy? Prices go up and down and if you don’t have experience of following the tickers it can be hard to know whether or not you’re about to make a mistake. Well, the good news is there are four essential pillars that should be in place before you commit a penny of your hard-earned cash. Get these right first, and you’ll be on the road to making the right choices with your money. Step one: how much time do you have? The most basic mistake a novice can make is to invest without a plan. You wouldn't set out on a road trip without knowing where you want to end up, so before you commit your funds, you’ll want out figure out your end game. Knowing how much money you want to make is only one side of the coin. Understanding this from the very start can prevent any major setbacks looking forward. On the flip side, you need to figure out how much time you have to make that money. For example, are you going to need funds in 10 years when Junior goes to college, or do you need cash soon to meet an IRS demand? Your personal situation is going to determine the route you take. Once you know how much time you have, you can ask yourself the next question. Step two: how much risk can you handle? There’s an adage that you should never gamble more than you can afford to lose. That said, some investments are riskier than others. Once you know your end game, you’re going to want to assess your own appetite for risk. When it comes to investing, there’s a well-documented relationship between time, risk and reward. Your own tolerance for risk is probably one of the most important factors in your success so, rather than guess, you should look to the end game you already set yourself to help you figure this out. For example, the more time you have to reach your goal, the more you can afford to take a risk, as the longer you keep your money invested, the more time there is to recover from any down markets or bad stock picks. There’s even better news. Time is not only on your side when it comes to reducing risk. Having more time can also bring greater rewards. This is because the longer you have to reach your goals, the more you stand to grow your returns exponentially from compounding your earnings. On the other hand, if you only have a short time to reach your target, then you’re better off going with a safer investment. There’s a reason we don’t put all our eggs in one basket. If the basket falls …Well, you get the picture. 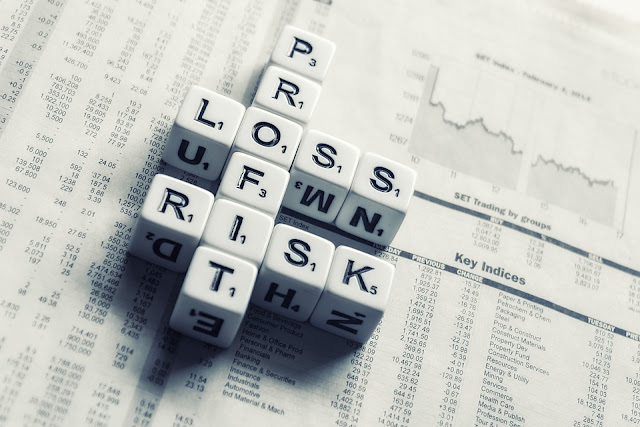 No matter how well you figure out how much time and risk you have to play with, any potential rewards are negatively impacted if you simply stick with one stock, one industry or one asset type. Cash and money market funds. Your main goal here is stability. This is a very safe investment, meaning you are unlikely to lose money, but the returns are small. The main risk here is that you could earn money more slowly than inflation rises. Bonds and bond funds. This is the investor’s middle ground. Examples might be US government bonds or international bonds. The goal with this type of asset is to get a moderate return for a slightly higher risk. The main risk here is due to the fact that bond prices fall as inflation rises. This means that if inflation rises too far, the issuer may not pay promised dividends or be unable to pay you back your principal. Stocks and stock funds. This is the riskiest type of investment but brings the greatest potential reward. The risk here is around falling stock prices, due to poor company performance or negative market sentiment. The stock market is very jittery and sentiment can be affected by all kinds of adverse news stories, political events far away and sometimes even the weather. To add to this, falls in stock prices can be much deeper than falls in bond prices. So, these are your main classes of asset. If you had a very long time to reach your investment goals you light get away with a stock-only portfolio, but as a general rule, when allocating your funds, it pays to spread them across all three investment classes. There is no magic formula here, the mix will depend upon your own personal appetite for risk and your personal end game. As well as spreading your investment across asset classes, when building your portfolio, it pays to spread within asset classes. For example, domestic and international currency or bonds, varying industry types and so on. So now here’s the bad news. Every investment comes with a price tag and, even worse, the money that you pay out to costs will compound over time. For example, paying 2% of your principal investment may not seem like much of a loss, but once your returns start compounding, 2% is going to be a lot more money. So it’s critical to understand what you’re paying and how to manage your costs. Counter-intuitively, funds with lower costs tend to outperform those with higher costs. So, if you’re wondering if it’s the right time to invest ask yourself: have I ticked off this four-point checklist? If the answer’s yes, well there’s no time like the present.